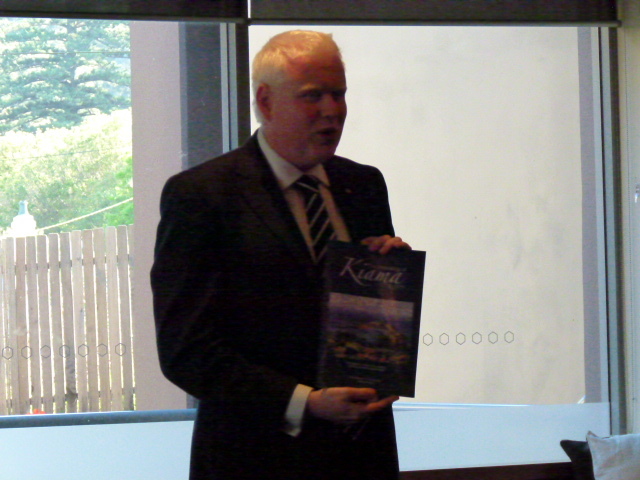 Here are some photos from the book launch of Graham Harmer’s new book, a quick but useful reference guide, ‘Chronology of Kiama 1770-2011’. 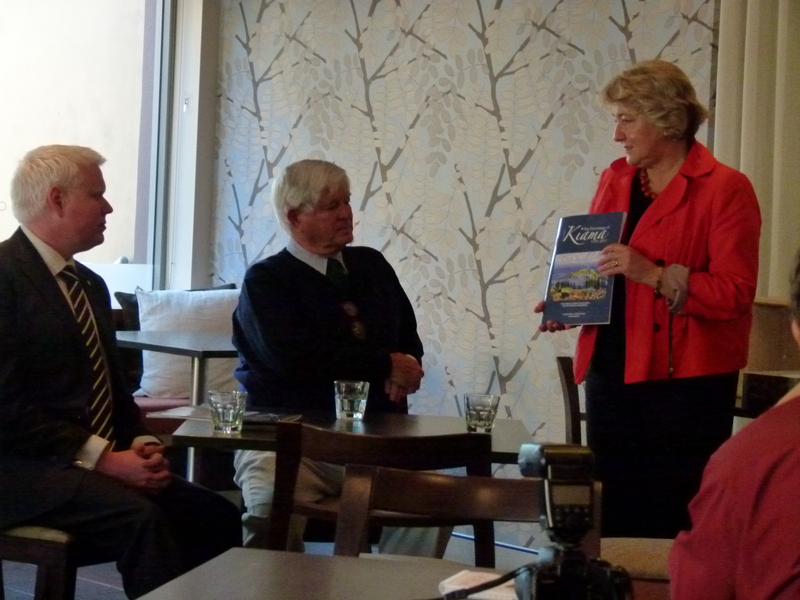 State Member of Kiama, Gareth Ward,( left) Graham Mackie (cente) and Kiama Mayor Sandra McCarthy (right)at the launch at the Sebel Kiama. State Member for Kiama Gareth Ward expresses his appreciation for Graham’s hard work. 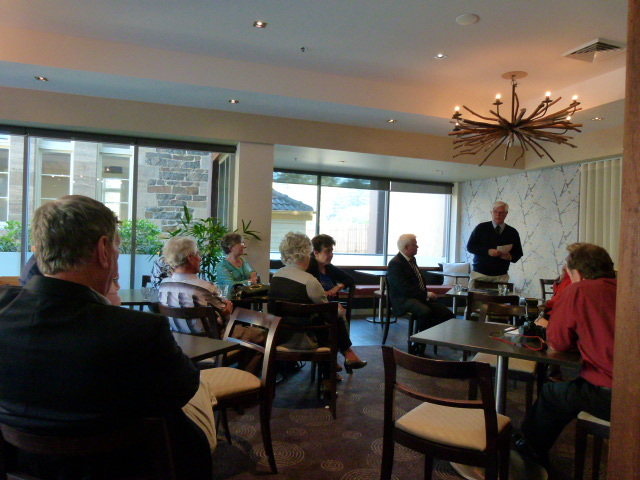 A broad mix of Kiama residents with strong local history connections at Graham Mackie’s book launch of ‘Chronology of Kiama 1770-2011’ held early September 2011. Copies are available for sale from the Kiama Library for $20. Thank you sincerely for recording the event. 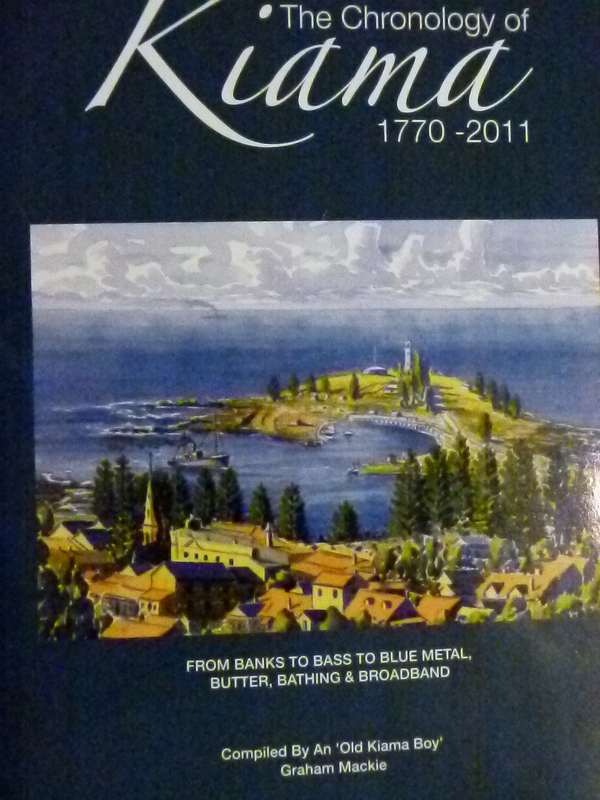 I do hope it adds a little to Kiama’s incredibly colourful history and growth. A great, beautiful & scenic town and we are indebted to Joseph Weston and the Weston family for recording so much of it. 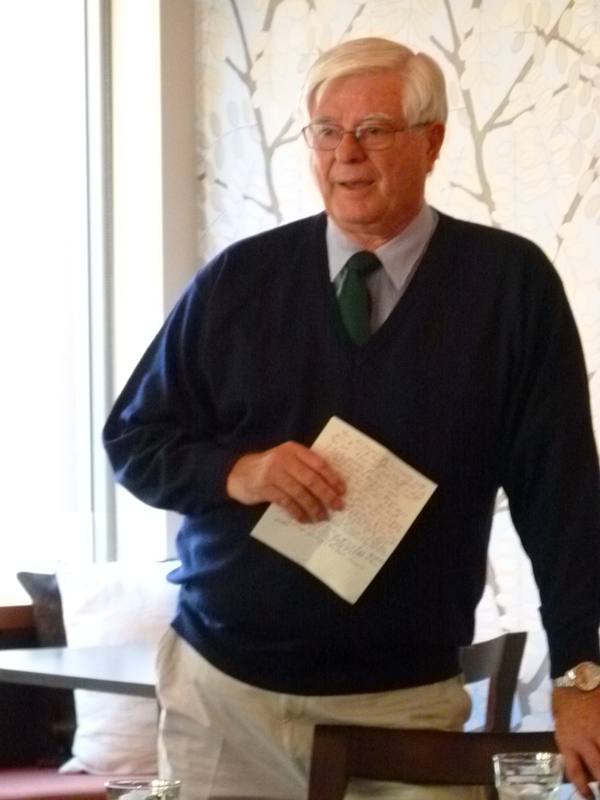 Happy to, Graham, and thanks for all your hard work on this, and many other projects over the years! 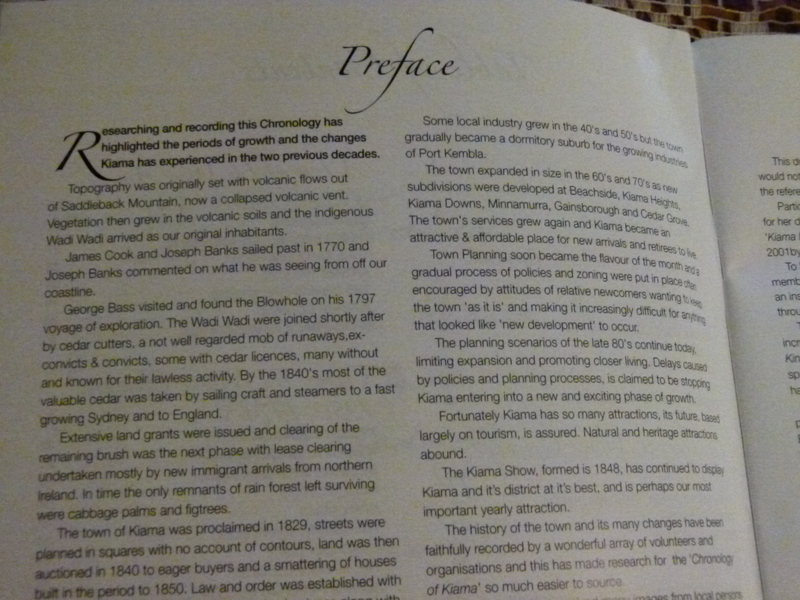 Be assured that it has helped capture the unique character of Kiama, both to preserve it but also to pass that character on to future generations.